Nintendo Japan have announced that a free demo for Splatoon 2 will go live on the Nintendo Switch eShop in Japan. 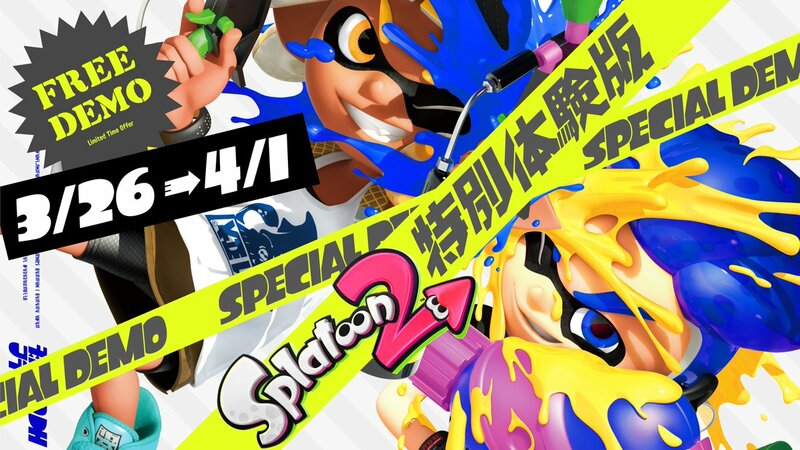 The Splatoon 2 demo will only be available for a short period of time, from March 26th until April 1st. Those who download the demo will also get a free Nintendo Switch Online Trial. Demo users will be able to play the Salmon Run mode and can carry save data over to the full game. There is no news whether we in the west will get a free demo as well but most of us have Splatoon 2 anyway. Splatoon 2 will also receive 10 new weapons as part of Sheldon’s Picks. No timeframe has been announced as of yet but we are sure Nintendo will let us all know when the weapons will become available. Splatfests have also be confirmed to continue until July 2019.